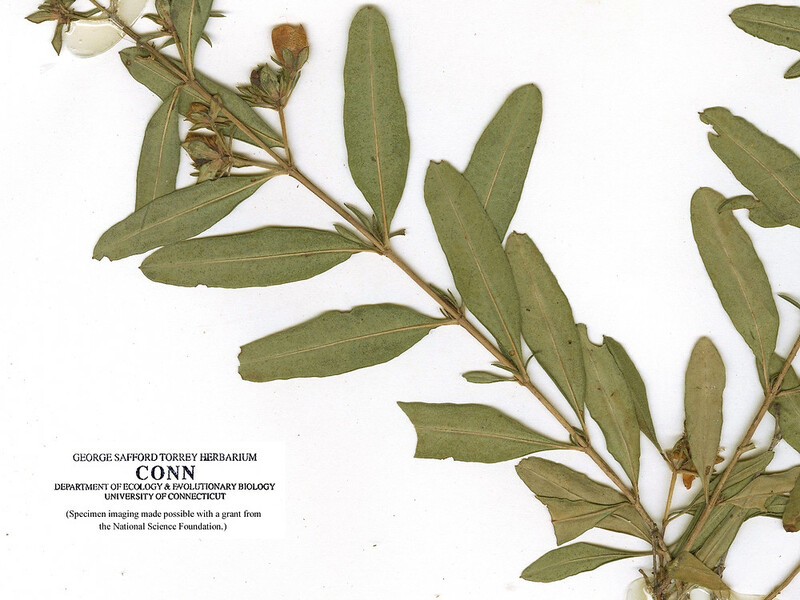 Straggling St. John's-wort is native to the region bounded by Indiana, Alabama and Georgia, where it inhabits calcareous forest glades. 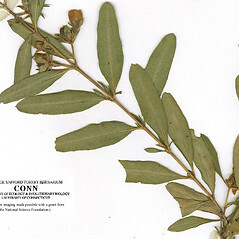 It has been collected from roadsides in Connecticut, its only recorded appearance in New England. sepals subequal to somewhat unequal, petals 5–8 mm long, +/- symmetrical to weakly asymmetrical, and stamens numbering 60–95 per flower, persistent (vs. H. dolabriforme, with sepals distinctly unequal, petals 10–13 mm long, strongly asymmetrical, relatively straight on one margin and strongly convex on the other margin, and stamens numbering 120–200, deciduous). 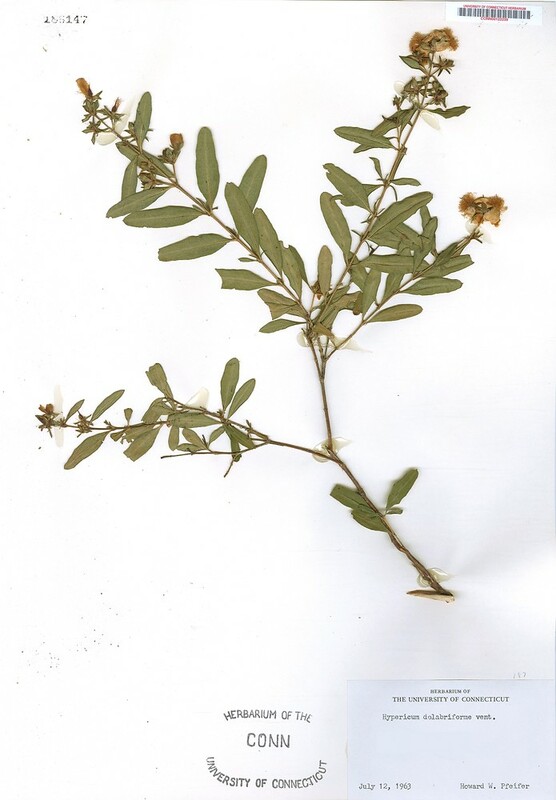 straggling St. John’s-wort. 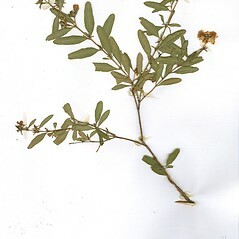 Hypericum bissellii B.L. Robins. • CT. Roadsides.